Nearly 8 million YouTube viewers have had a highly speculative glimpse into the future. In the video, a man suffers a heart attack during rush hour in a crowded city. His life is saved by the timely arrival of a futuristic “ambulance drone,” summoned when his companion calls an emergency number. Via streaming video and two-way audio, emergency responders miles away guide the stricken man’s companion on how to use the defibrillator carried by the drone. It all happens before an emergency vehicle can make its way through traffic. The video was created by Alec Momont, a design graduate at Delft University of Technology in the Netherlands, who is now working in Milan. “Instead of centralizing everything into one area, where ambulances are, [the drone] creates a network across the country to decrease these response times,” Momont said in a 2015 TED (Technology, Entertainment, Design) talk. Drones already have delivered packages successfully from online retailers to customers in the United States and other countries. So it's not far-fetched that they could also be used to deliver medical devices, medications, and other forms of medical assistance, especially to remote or underserved areas in the United States. Of course, medical material often requires more delicate handling than consumer goods. But test drones launched by U.S. companies, international groups such as Doctors Without Borders, and other organizations have delivered aid packages in Rwanda, flown contraceptives and oxytocin in Ghana, and carried blood and biological samples to labs from remote locations in Papua New Guinea and Madagascar. “These small vehicles have the same name as some military weapons, [but] they’re not the same thing at all,” said Timothy K. Amukele, MD, PhD, assistant professor of pathology at Johns Hopkins University School of Medicine. 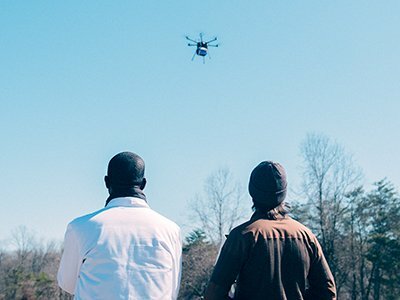 In 2015, when a student came to Amukele with the idea of using drones to fly blood samples from clinic to lab, the physician was skeptical until he learned that drones were shrinking in size and price. Since then—“a million years in technology,” he said—the demand for drones led his student to found a drone-making company, one of several in the country. Still, when Amukele applied for institutional review board (IRB) permission, “they thought it was a joke,” he said. Amukele initially had his doubts about drones’ capabilities, too. For example, he thought that in-flight vibrations might rupture blood cells, which happens to samples on bad roads. 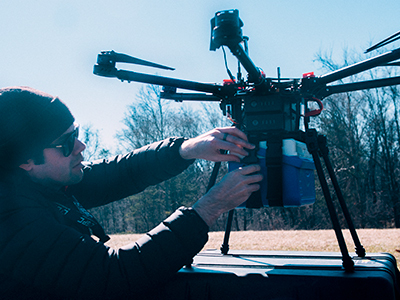 Drone Transport of Blood Products from Medical Drones on Vimeo. But Amukele and his team have shown that drones can transport blood samples and products, and blood and sputum culture specimens undamaged. Now the group is working to see if samples in secure packaging can survive a crash intact. The off-the-shelf drones cost $2,000 to $3,000 after the team modifies them—a camera may be removed to make room for a snug cargo bay, for example. The team uses both airplane-like fixed-wing drones and helicopter-like multirotor vehicles. An American of Nigerian descent, Amukele wants to improve the delivery of medical care in remote locales in the United States and sub-Saharan Africa. Drones might someday be part of the health care delivery system in that part of the world, he said. “One of the factors that worsened the West African Ebola outbreak were the poor roads that hindered the transport of biological samples. [Drones are] now a relatively inexpensive solution with a relatively low barrier to implementation,” Amukele and team wrote in the Journal of Clinical Microbiology last year. “There’s a large potential for a reworking of how we do specimen transport employing that technology,” agreed Geoffrey S. Baird, MD, PhD, medical director at Seattle’s Northwest Hospital Clinical Laboratory. Lab specimens—small packages with a high value—are ideal candidates for drone transport, he said. He is working on flying blood products by drone between sites that are a few miles apart in the University of Washington (UW) medical system. He has longer flights in mind, but for now must obey regulations that require drones to stay in the pilot’s line of sight. Cornelius A. Thiels, DO, surgery resident at the Mayo Clinic in Rochester, Minn., is looking even further ahead. “Drones could also be used to deliver tourniquets and combat gauze to the scene of a trauma or mass casualty event,” he said. They could enhance telemedicine as well: “It is not unrealistic to think that drones may one day provide home visits for patients, thus maximizing the care physicians can provide.” When speed, payload capacity, and cooling systems improve, it’s even possible that drones could rush organs for transplant to remote locations. If so, drones could even become a topic for medical educators. “I don’t think medical students are going to have to take Drones 101 [but] we have to bring different people to the table,” Baird said, forecasting a need for physicians who appreciate software, and industrial and mechanical engineering.